Yesterday in the literary programming office we had a fascinating conversation on what it takes to be a literary genius. It it enough to be a master of your craft? Or do you have to do something completely groundbreaking? We all agreed, however that whatever your definition, Art Spiegelman’s got the goods. Legend has it that years ago when Art Spiegelman came here for Nextbook DC, he chain smoked throughout the entire lecture. This time around he’s promised to keep it smoke-free, so I can only imagine that he’ll be covered in nicotine patches as he discusses his newest work, Metamaus: A Look Inside a Modern Classic, Maus on March 26 as part of Authors Out Loud. Filed under: Uncategorized | Tagged: Best of DC, City Paper, Hyman S. & Freda Bernstein Jewish Literary Festival, literature, Nextbook |	Comments Off on We’re Number Two! We’re Number Two! There will be less makeup involved, but that doesn’t mean you should skip Janice Erlbaum reading from Have You Found Her: A Memoir, Tuesday night at 7:30 pm. Her book trailer, below, is one of the better ones we’ve seen. Click here to register. Thanked by David Grossman for maybe a glint in my eyes – a quick expression of yearning and purpose! I’ll read the novel, pay attention to character detail and the big picture – and cherish those words of encouragement always. Stephen Stern is the Director of Dialogues and Public Affairs at the Washington DCJCC. 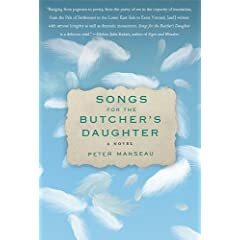 Happy to read today that Peter Manseau’s debut novel Songs for the Butcher’s Daughter is excerpted on nextbook.org. Peter, the co-founder of the religion website Killing the Buddha and author of the memoir Vows: The Story of a Priest, a Nun and Their Son , will be reading from his book along with poet Janet Kirchheimer at the Hyman S. & Freda Bernstein Jewish Literary Festival on Thursday, September 18 at 7:00 pm. The excerpt from the book deals with the famous blood libel that helped spark the Kishinev pogrom, which serves as a central plot point in the novel’s narrative. Of course! Who else, oh wise men of Dubossary? Who but the Jews would kill a boy and leave him on the roadside for a Christian peasant to piss on? Who but the Jews would be so stealthy in their motives yet so careless in their execution? Who but the Jews would build their own gallows, tie their own nooses, and hire the hangmen to stretch their necks? All these years later, it remains baffling to me that Jews know this same lie has been told for a thousand years, while Christians hear it each time as a revelation. That we should be judged and murdered by such imbeciles is sorely vexing. 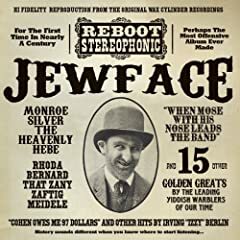 With a Cossack’s boot on his neck, a Moldovan dirt farmer would strain himself to ask who was the Jew that knocked him down. But such is the world. And such was our corner of it in those days that provisions traveled with difficulty over our rattling roads, but words moved like fire. Through the next three months, as I grew in my mother’s womb, the lies of Dubossary impregnated our city and likewise grew, waiting for the day when they might burst forth wailing in blood.